Be Confident is a fantastic book app for our middle school kids or those preparing to enter middle school. This can be a time that is filled with social pressures and the need to fit in. It demonstrates clearly the hurdles that kids encounter and suggest great ways to overcome them. I wish these were available when my kids were in school (they are now grown). I was a PTA president and felt strong about the need to help our 5th graders prepare. The most I had was to put together a series of self esteem sessions for them. Now we have these wonderful gifts so easily shared with our kids, parents, caretakers and teachers! I am so grateful! You will meet Mateo, Michelle, Jack, Jen, Chris, and Abby—six friends trying to figure out what middle school’s all about. Kid’s teaching kids. It’s a beautiful thing! Adventures include self esteem, body image, emotions and more! Be Confident is based on Book 1 of the award-winning Middle School Confidential™ series written by teen expert Annie Fox, illustrated by Matt Kindt, and published by Free Spirit Publishing. Check out one of eight chapters in this book app! 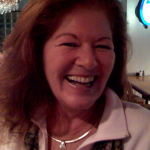 See What Happens When You Hold On to Your Self Confidence! Thanks so much for visiting our site! Please consider using our iTunes button to view as the cost is the same to you and helps us to keep reviewing. 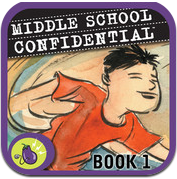 What was the initial inspiration for Middle School Confidential 1? I was inspired to write the Middle School Confidential book series during a performance of Wicked, back in 2003. The story of the green witch being teased and ostracized at school, struck such a deep chord with me. Not because I was bullied as a middle school student, but because I’ve been receiving email from tweens and teens since 1997. The #1 issue they need help with is self-confidence and how it relates to peer conflicts. I felt so strongly that kids need stories with characters they can relate too as well as tools to help them navigate more effectively through the social garbage inherent in 6th-8th grades. The apps take the graphic novel portion of the books, with a ZOOM IN mode and awesome sound effects that bring the reader right into the action. This is their life! And it can be really tough. They deserve help from us. Personally, I love how the sound effects draw you into the story. Obviously, the books don’t have sound! What a difference it makes to have that extra layer of emotion that only sound and music can offer to a story. Even though it is a graphic novel without animation, the sound makes it feel like stuff is really happening in the action and inside the hearts and minds of the characters.